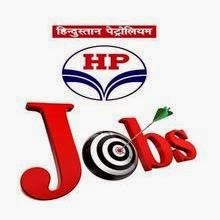 Hindustan Petroleum Corporation limited HPCL, published the official recruitment notification for the posts of Technicians and craftsman in various department Operations, boiler, maintenance and laboratory categories. Selection Procedure : selection of the eligible candidates will be based on through the written test of general aptittue test and technical professional knowledge. The Written Test is likely to be conducted at 5 Centers. i.e., Mumbai, Visakhapatnam, Kolkata, Chennai & Delhi However, HPCL reserves the right to cancel or add any Center. Candidates may be called for written test at any center other than his/her choice. Candidates qualifying in the Written Test will be called for Personal Interview/s, in order of the category-wise and position wise merit list of the Written Test in a predetermined ratio. While drawing merit list of successful candidates, 85% weightage would be given to performance in written test and 15% to Personal Interview/s. Candidates will have to qualify through each stage of selection process.